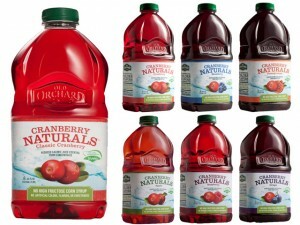 Old Orchard Brands recently launched its newest product line; naturally-sweetened juices. The company’s new products are mixed blends of cranberry juice that contain only one hundred percent natural ingredients, which means it has at least 40% less sugar as compared to traditional varieties of cranberry juice. The new products are labeled Cranberry Naturals and feature a proprietary mix of the natural sweetener under the Truvia brand of Cargill. It also contains a hint of all-natural sugar, enough to create that naturally reduced-sugar drink. Cranberry Naturals contain only 16 grams of sugar which is about 50% less than that of the most popular cranberry juices. For every 8-oz. glass serving, Cranberry Naturals contains only 70 calories. This new product is also free from artificial colors, preservatives and flavors. According to Mark Saur, president and founder of Old Orchard Brands, consumers nowadays are looking for food items that have low calories and sugar. Food processing companies on the other hand, are looking at all-natural sweeteners that they can use for their products. With this new product, both the consumers’ and the company’s needs are met, as Cranberry Naturals contain low calories and sugar because what has been used to sweeten the juice drink is an all-natural sweetener. Plus, consumers also get to experience the health benefits that cranberry juice is known for. Old Orchard Cranberry Naturals is available in a number of varieties, namely: Classic Cranberry, Cranberry Pomegranate, Cranberry Apple, Cranberry Blueberry and Cranberry Grape. These varieties are already available in retail food shops and grocery stores all over the country. Retail price for every 64-oz. juice is $2.99.